All of our mouldings are priced and sold on a lineal foot measurement. One lineal foot of moulding is 12" long, regardless of the thickness and width. Curved Mouldings can be made to order in solid wood or flexible resin to precisely match our stock profiles. 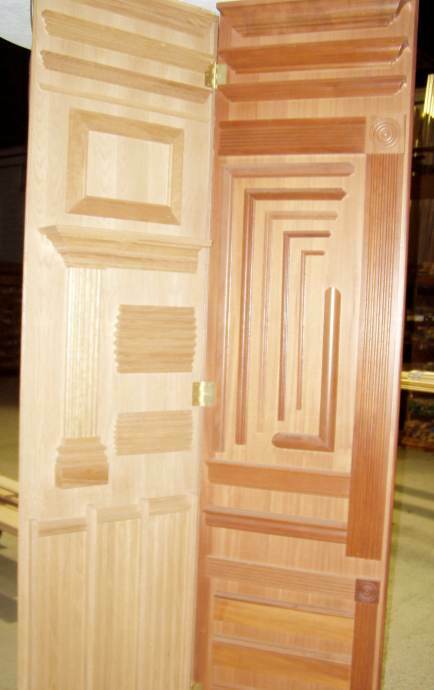 Custom Mouldings can be made to order to match any profile. A scaled drawing, or a sample along with the quantity desired and the specie of lumber is all that is needed to receive a price quotation. Manufacturing - We operate four moulders on our premises and a variety of support equipment to assure our quality. All stock mouldings are manufactured by our staff. We also offer embossed and carved mouldings from other manufacturers. 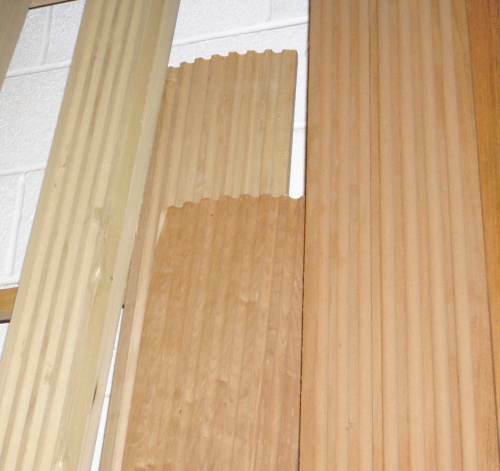 The moulding profiles depicted below are stocked in our warehouse store. Most are available in Cherry, Mahogany (see note below), Maple, Oak and Poplar. We will match and manufacture any profile you desire in over 50 different species. Monteath's fully equipped moulding and milling facility stands ready to service our customers. Knives for stock and custom profiles are ground and sharpened on site to insure only the highest quality mouldings. Intricate mouldings up to 9" in width can be produced. Mouldings with wider profiles can be segmented and assembled by our skilled craftsmen. Curved, turned, and flexible mouldings can be manufactured to precisely match our straight mouldings. Most work is completed within two weeks from ordering, based upon availability. FAST-TRACK service is available for projects that require an accelerated production schedule. Contact us for more information on specific turnaround times. A word about Mahogany. . .
Over the last few years the price of Genuine Mahogany has skyrocketed. Today, the availability of steady supplies of quality lumber is very limited. In addition, there has been no Genuine Mahogany plywood available for several years. Two reasonable substitutes are available in large supplies - African and Sapele Mahoganies. Both are native to Central Africa and are significantly cheaper than that of the Genuine. Due to the tendency of the grain to tear in the machining of African Mahogany, we have chosen to stock Sapele Mahogany in lumber and plywood. During the first quarter of 2005 we replaced our Genuine Mahogany mouldings with Sapele Mahogany. We will continue to stock Genuine Mahogany lumber when available. We will run any of our stock mouldings from that inventory on a custom basis. Copyright © 2012 J.H. Monteath Lumber Co. All Rights Reserved.